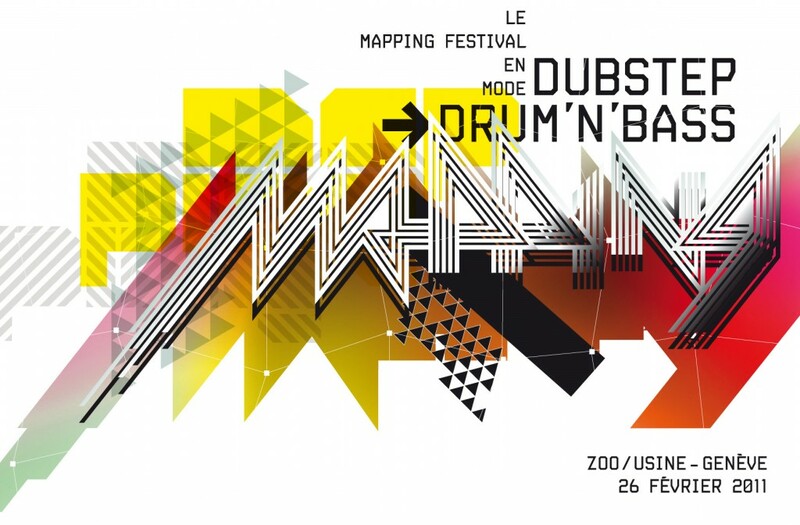 Saturday, Febuary 26th @ Zoo: Mapping Festival version Dubstep to D’n'B! Come support the Mapping Festival, we need you and remember fight for culture! LaLoutre, Ivy, Steaknet: www.the-steak.net, Camille De Dieu, Akinetik, Azadeeh, ReadMe. A week of serious partying provided by the Mapping Festival 2010 and the legendary Zoo in Geneva, compacted into four minutes of audio and visual video reporting. Featuring : A1BASSLINE w LUMA.LAUNISCH / LUKE SLATER w PINTA Y COLOREA / APHTE PUNK w KRMT / HOSTAGE w SUPER E:V/A / OTTO VON SCHIRACH w MOTOMICHI / GANGPOL UND MIT / GERBEM w LA LOUTRE / DAT POLITICS / CHARLIE MARS w ZOL / CATCHEUR ET LA PUTE w M&Y. Wiki-Sprint @ Mapping Festival 2010. Wiki-Sprint about Vjing practice in Wikipedia @ Mapping Festival 2010. Hosted by: Manuel Schmalstieg (CH) with: Raphael Diluzio (USA), Ana Carvalho (PO), Tom Bassford aka Sleepytom (UK), Carrie Gates (CA), students from Geneva School of Art (HEAD) and online contributors : Alex Berry CHiKA and Xarène Eskandar (USA), Kenneth Feinstein (Singapore) and Elsa Vieira (Prague). A collective writing workshop that was held during Mapping Festival 2010. All contributors spent seven days discussing, expanding, translating and improving the Wikipedia article dedicated to the artistic practice of VJing. A conversion with Yannick Jacquet (Legoman) and Thomas Vaquié about their project ST GERVAIS, a live audiovisual performance mixing classical organ and electronic music with video projection. Original duration of the performance : 30min. A Mapping Festival party with Geneva dancefloor kids, but not everyone. For Vjs: Azadeeh, Camille De Dieu, Boris and Lupin, most of them are involved in Mapping Festival from many years. They are part of Mapping Vjs Crew, as we used to say, and don’t leave their visual the festival indifferent. For Djs: Daria, Sonja Moonear, Dachshund and Marie-Avril. Most of them are Dj and producer, this line up mix between electro, techno and house each with various influence. Azadeeh, Camille De Dieu, Boris, Lupin. Vj Contest @ Mapping Festival 2010, Cinema Spoutnik, Geneva. This year’s VJ CONTEST winner is M&Y !! Congratulation to all VJs for their great performances at the Spoutnik Cinema. Sponsors: Vimeo / Codanova / HomeVJ / Art Computer / Modul8. Shot and Edited by Jerome Monnot with Camille Dedieu and Vania Jaikin Miyazaki. Call for entries 2011 is now closed! The call for entries for the Mapping Festival 2011 is now closed! Thank you to all of that have applied. We received more than 400 projects and now we will start the review period soon. We will send a notification by email to all applicants. Call for entries extension until DECEMBER 5th, 2010! The call for submissions to the Mapping Festival is now open until the 5th of december 2010. This year’s 7th edition of the festival will be held from the 19th to the 29th of May 2011, in it’s usual place, the beautiful city of Geneva, Switzerland. If you have any projects you would like to submit now is the time to share them with us! The application for submissions is available under the tab “Call for entries 2011″ just on your left. Nosaj Thing Visual Show @ Mapping Festival 2010, Cinema Spoutnik, Geneva. Another blasting performance from Nosaj Thing with visual delicacies specially produced by Julia Tsao aka Fair Enough.